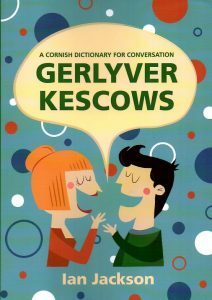 A new dictionary intended to aid conversation at Yeth an Weryn and other gatherings of Cornish speakers. Cornish – English, English – Cornish, containing about 5000 words which have been selected on their likelihood of being used at social events. Size A5, 300 pages. A sample of the content may be seen here. A correction sheet for the first impression may be downloaded here. Would you please upload some viewable inner content? I would like to make an informed decision as to whether or not to purchase. Meur ras, oll an gwella. Poynt da. An example of the content is now available.